Input the Quantity equal to the Amount You Wish to Give. 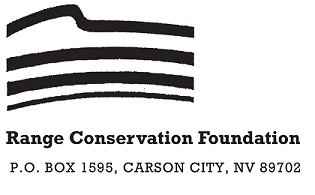 Range Conservation Foundation is a 501(c)(3) organization that promotes and encourages responsible stewardship for the care and protection of America's rangelands as a multiple use resource. RCF is entirely funded by individual donations and receives no corporate support. In return, RCF is free of any and all corporate or political interest. Every dollar donated helps! Copyright RANGE magazine. Powered by goEmerchant.